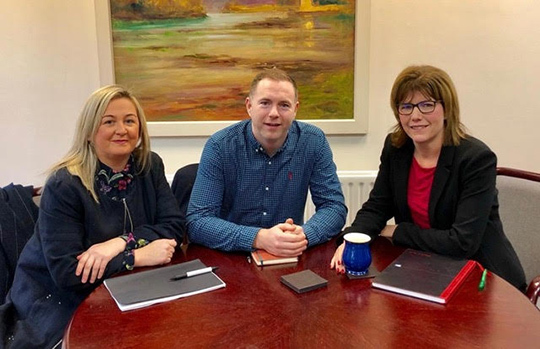 Sinn Féin’s Chris Hazzard MP and Sinead Ennis MLA met with the Chief Executive of Warrenpoint Port Clare Guinness last week to discuss future economic opportunities in South Down and plans to develop the port operation in partnership with the local community. With Brexit currently dominating most political discussions, the South Down representatives also discussed the Port’s ongoing Brexit contingency planning and likely scenarios for protecting the local economy in the years ahead. Warrenpoint Port CEO Clare Guinness, right, welcomed Sinead Ennis MLA and Chris Hazzard MP to discuss all things Brexit and future development plans with port and involving the local community. 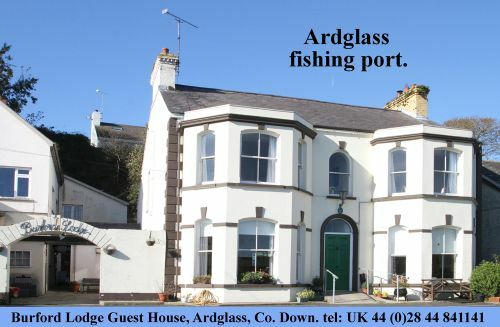 Chris Hazzard MP said: “It was a very positive engagement; Clare Guinness is clearly ambitious for the Port but it is great also to hear that her economic vision includes the local community and the future sustainability of Carlingford Lough. Going forward it is vital that the port management body see themselves as a driver of our local economy and a catalyst for economic growth in South Down. “Situated approximately half way between Dublin and Belfast, Warrenpoint Port is ideally located to grow into one of Ireland’s most important shipping and logistic ports. With the forthcoming Newry Southern Relief Road project and further growth of the Greenbank and Carnbane economic hubs in Newry, the potential for a modern logistics hub in the local area in connection with Warrenpoint Port would undoubtedly be a massive economic incentive for business and source of increased employment opportunities. Sinead Ennis MLA added: “In recent weeks there has been a lot of interest in the Port’s plans to alter its dredging activities in Carlingford Lough so it was positive to hear Clare outline clearly that the science will lead future decisions on whether or not this will happen.